Hands-down my favourite make so far this year has to be this blue linen pintucked dress. Inspired by a dress I tried on last spring (a weird fit, gapping armholes, and too short for my liking), from then on I had a hankering for a pintucked dress. Boy, I hunted high and low for the perfect pattern, all the fabric shops and opshops, but nothing was quite right. 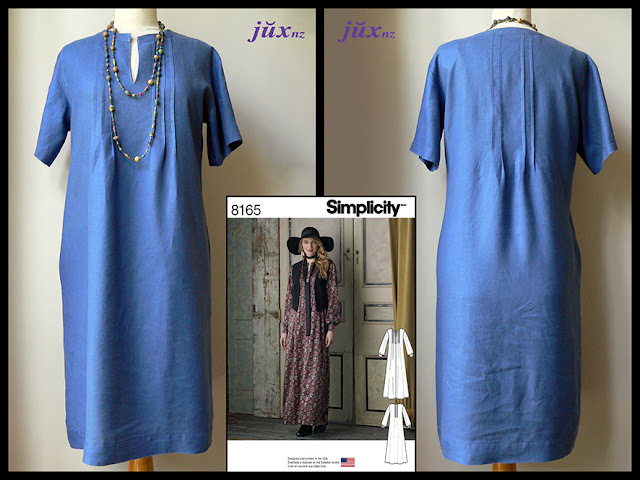 Finally, on the soon-to-be-extinct patterns table at Morelands Fabrics, I found Simplicity 8165. Because I intended to use linen already in 'the stash', a few adjustments to the pattern were necessary to accommodate the fabric meterage. The hem and sleeve lengths were both shortened, and I eliminated the centre front seam (and binding), instead cutting a facing. This pattern sizing runs LARGE. After the first fitting, I cut 10cm (4 inches) off each side seam, which was a shame, because I also felt I need to add a 8cm false hem. Had I known I could have cut 2 sizes smaller, which would have allowed the patterns pieces to overlap in the lay a little more, giving me the extra length. Never mind, I still love the results, and have worn it often this past summer. At present I'm considering making a long-sleeved winter version, and will 'shop the stash' this coming Easter break to hopefully find suitable fabric. One blouse I do love is this one. 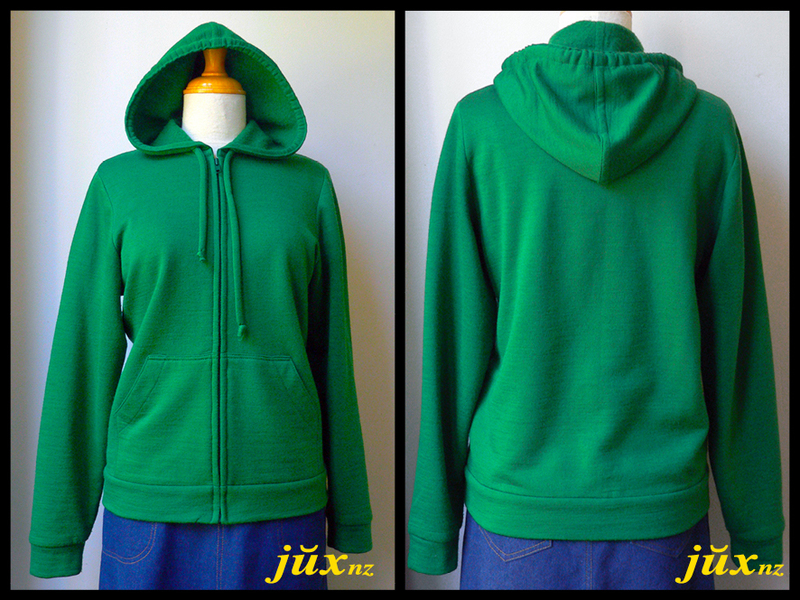 Made from a left-over piece of lightweight wool from the stash (last used for this) dyed solid green. Butterick 9899 was a gift from a friend who - like me - loves opshopping, and knows my passion for 'rescuing' old patterns. (Heard a story of them being used instead of newspaper to wrap breakables - the horror!) Using just the body and sleeve A pattern pieces, I lenghtened the front and back 20cm, curving up to the side seams, and extended the sleeve by 12cm plus cut a cuff 3cm finished width. Shell buttons from Pete's Emporium. Also known as the "Dollar Top" as the fabric was $1 from the SPCA OpShop in Lower Hutt - approximately 2 metres length, cut down to about 70-80cm in width. Originally, I made it up using another pattern, but after the first fitting re-cut it as it just wasn't me. 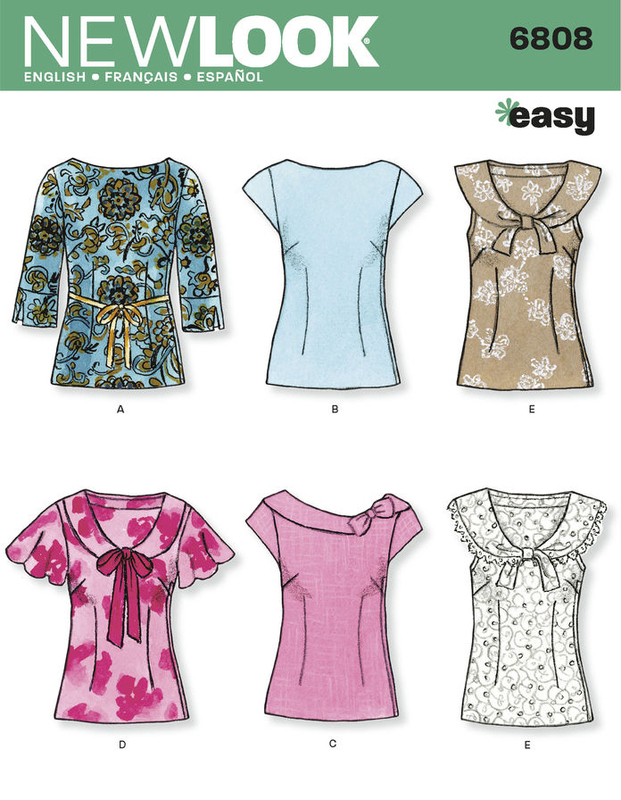 New Look 6754 is a simple, tried-and trusted blouse pattern I've used many times before. However, re-cutting caused issues with the length, so I added a 5cm band at the hem, curved it up at the side seams to make it interesting and less like an afterthought. Every since I made my grey wool houndstooth jacket I've been on the lookout for fabric to make another simple, boxy jacket, this time for the in-between seasons. In Spotlight late last year, I spied several bolts of cotton velveteen with varies designs for $15 per metre. As it's quite narrow (about 110cm wide), I bought 2 metres of a paisley design. 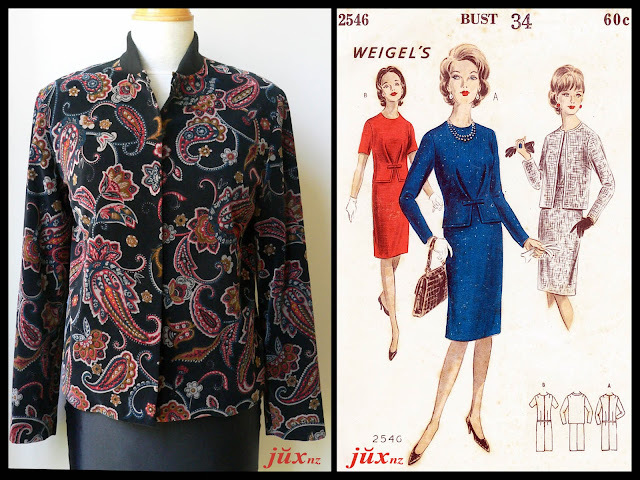 During the Xmas/New Year break, I pulled several jacket patterns from the stash, settling on Weigel's 2546 from the 1960's, because it was lined. Like the houndstooth jacket, I planned on a dome snap closures, so added 2.5cm (1 inch) as overlap to the centre fronts. 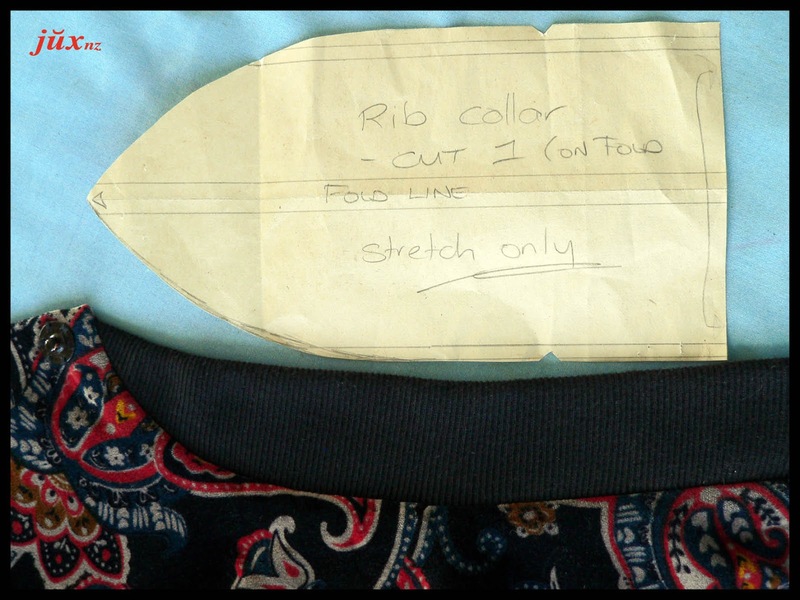 I also drafted a small ribbed collar (letterman/varsity jacket style), and of course added pockets in the side seams. Lining and cotton rib were from the stash, large dome snaps from Pete's Emporium. Super simple, it took a little over a day to make, and I'm extremely happy with the result. Will be snug when cooler weather rolls around, but I have to say I'm loving this heatwave! 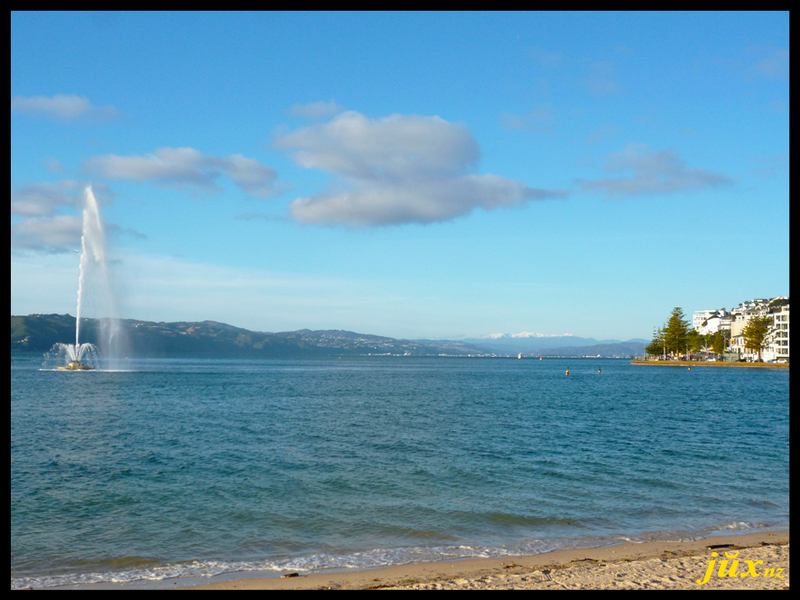 Carter Fountain, Oriental Bay, Wellington, to snow-tipped Remutaka Range. See the snow on the Remutaka Range in the background? That's why it's been so fricken cold! As a child, I spent many happy hours with my Grandmother, listening to stories of her extended family, who settled in Dunedin after arriving from Denmark. 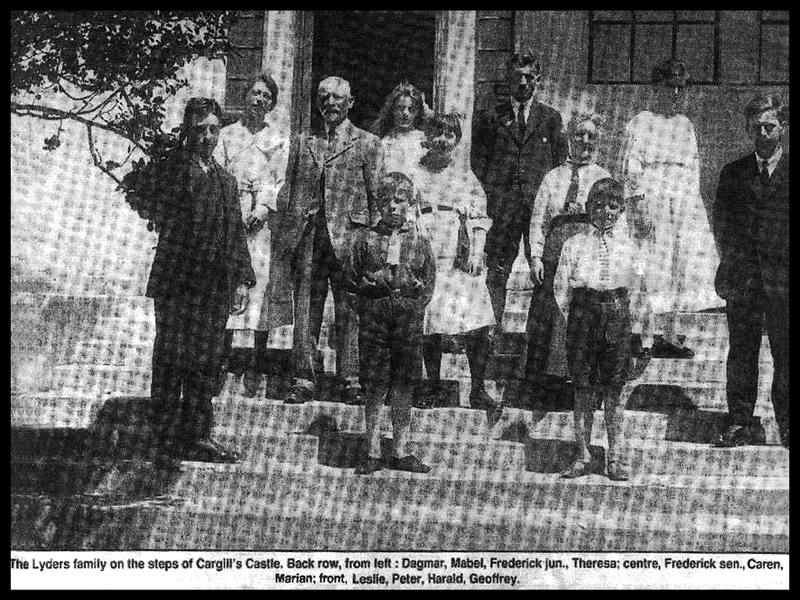 Many of the stories revolved around time spent with cousins at 'The Cliffs' or as it's known locally, 'Cargill's Castle'. 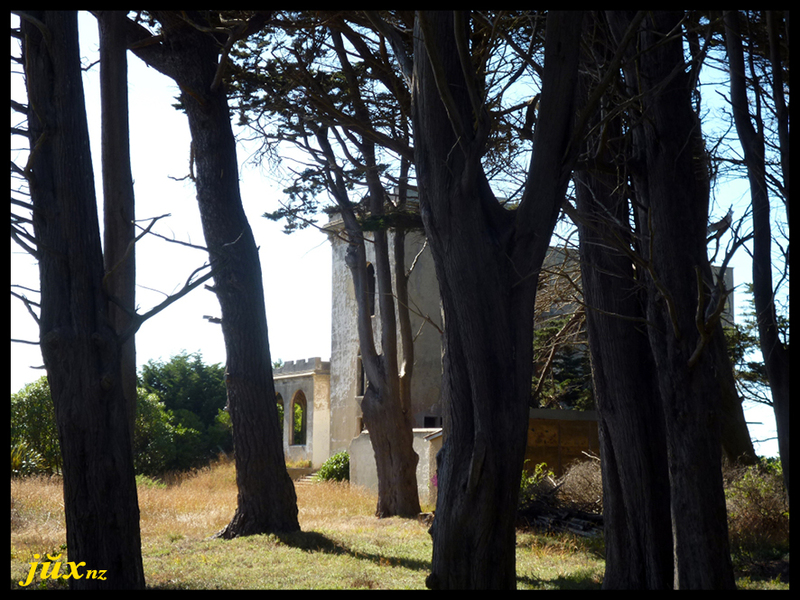 Her uncle - Harry Lyders - built the 'castle' for Edward Cargill, subsequently purchasing the property early in the 20th century for his own family. 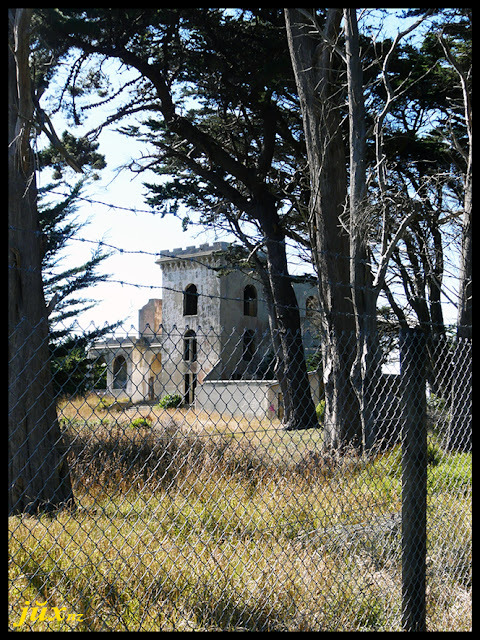 One story in particular has stuck to this day - how as children, she and her cousins were allowed to use the ballroom as an indoor rollerskating rink! 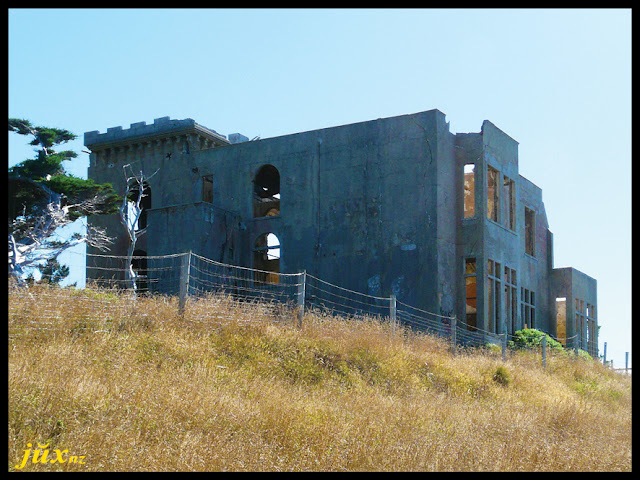 The ballroom was added some years after the castle's original construction, which Uncle Harry considered a "folly", and consequently had no desire to preserve. A holt was put on indoor cricket matches however, after windows were smashed and needed replacing to keep the weather out. Earlier this year, the combination of cheap flights and Wellington anniversary weekend provided the opportunity to make a pilgrimage to Dunedin and visit the castle. 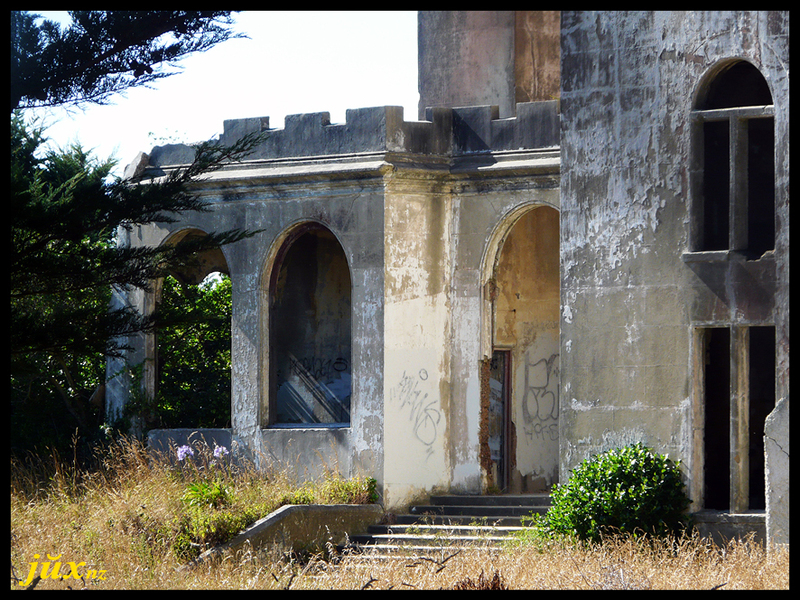 (Interestingly, I drove unaided directly to the property, even though never having been to Dunedin before). Now surrounded by a new subdivision, it's inaccessible to the public, but by telling my story to a neighbour watering his garden, he allowed me to pass through his property to reach it. 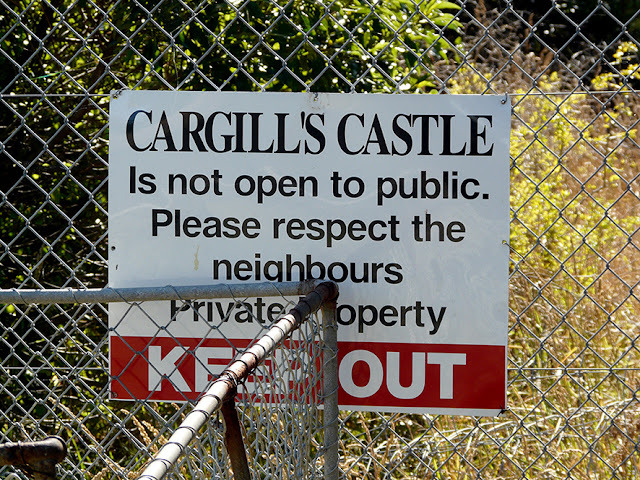 The passage of time has not been kind, with the castle now so structually unsafe it's ringed by a barbwire topped fence. Well past the point of restoration, I believe there are plans to sure it up enough to allow it to open as a ruin? (Please correct me if I'm wrong). It was quite a strange experience walking in my forebearers footsteps. As the future of the castle hangs in the balance, I'm glad I made the effort to visit this once. Moonstone silver necklace from Jaipur, India. 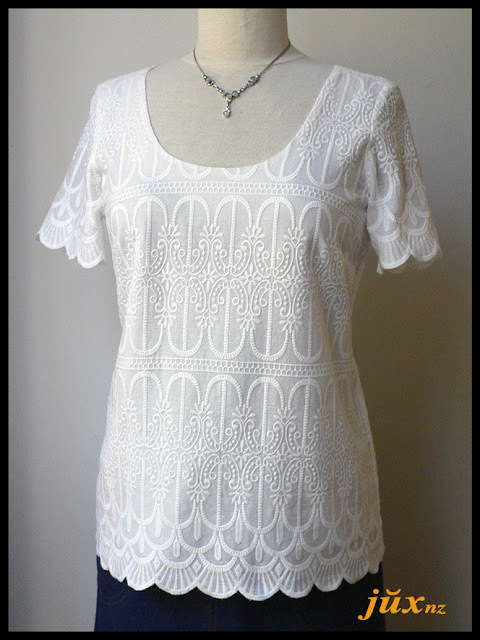 Springtime last year, I had a brain-fade when I couldn't locate several summer tops (including this, this and this), and convinced myself they had be donated to charity in a wild KonMari decluttering session. They duly turned up in a suitcase (I hear you tut-tutting, Marie! 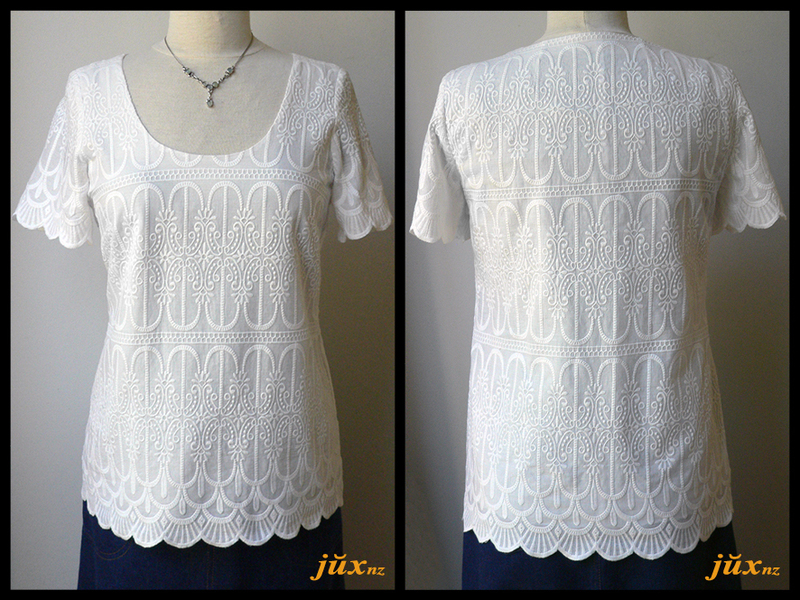 ), but by then I had already bought replacement fabric from Morelands to make another embroidered cotton blouse. 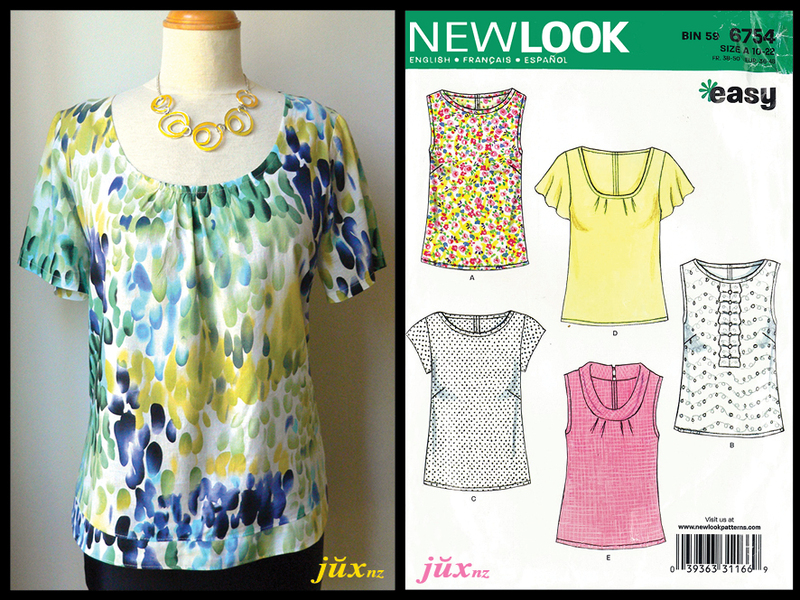 New Look 6808 was in my pattern stash, and I made this blouse using view D/E, minus the collar. Sleeves are shortened view A. By eliminating the waist darts, I'm able to pull it over my head, so I also got rid of the centre back seam and zip. 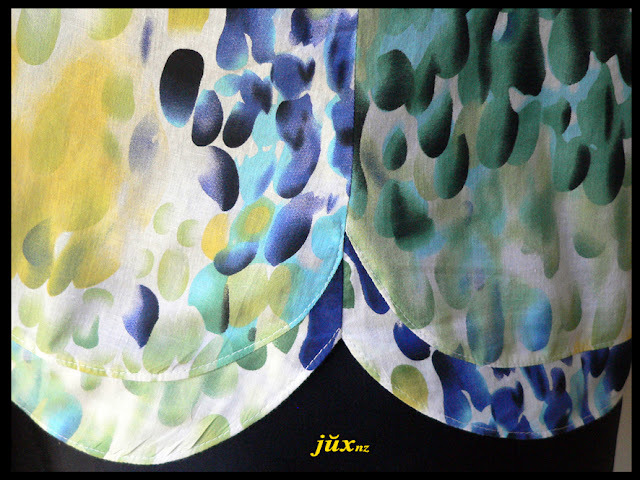 As the fabric is quite transparent, the blouse is lined with cotton voile, which is cut to the neckline to avoid facing seams showing through. Finally, to make the most of the gorgeous scalloped selvedges, everything is cut with the straight-of-grain on the cross. One annoyance was the embroidery on the fabric was inconsistent. I recut the front neckline slightly where this was particlarly evident, as one side had noticeably more lattice than the other. I also hand-basted the side seams before machining, because the embroidery pattern needed a bit of easing here and there in order to line up. 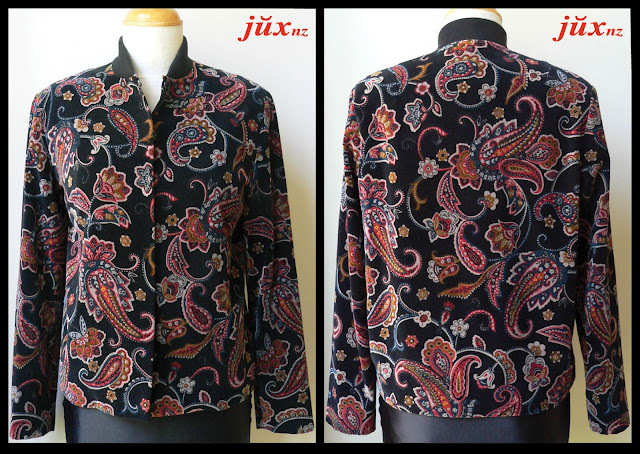 In Aotearoa, we've been enjoying the most glorious, extended summer (a real joy after a bitter winter), so it's been a blessing having more than one cotton blouses at hand. And yes, Marie, they all "Spark Joy". A few years ago, I was tempted into buying a piece of merino sweatshirting I saw on TradeMe. It wasn't cheap - about $35 p/m from memory, and a minimum of 2 metres, but I was intrigued because I hadn't seen merino in this form before (nor since), plus it's my favourite colour. The idea was to make something warm for shavasana, as my yoga class can be chilly mid-winter. 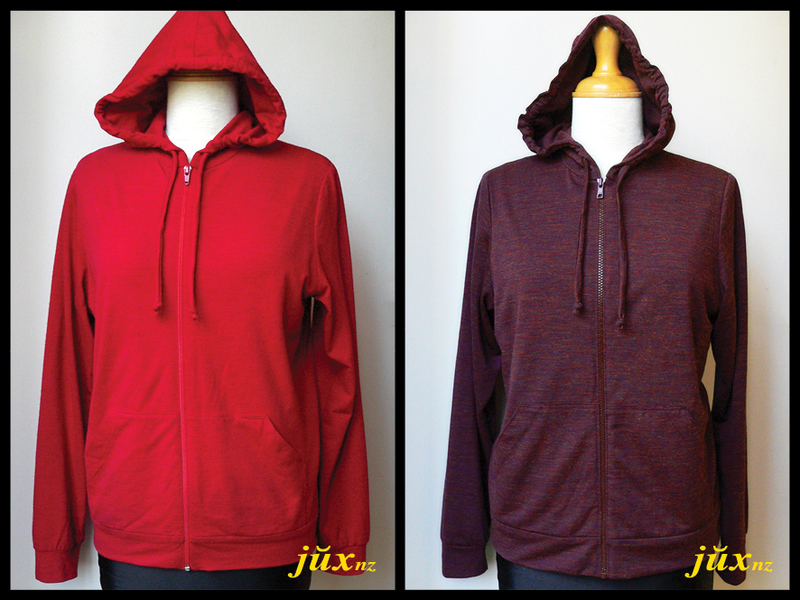 I pinned many ideas over the years, before settling on a classic hoodie. An old, tried-and-trusted pattern - Butterick 6101 (ca. 1980) became the basic template, with a few tweaks. Pockets would be a must, plus I added cuffs and a hip band. The hood in the pattern is lined, but because the merino has a wonderful soft fleecy backing, I left it unlined, instead making a flat-felled seam down the centre back to keep it neat. The hardest part was finding a zip and cord to match. I considered white, lime green, daffodil yellow, brass and chrome, before finally finding a dark green zip in The Fabric Warehouse - not perfect, but close enough. There doesn't seem to be any cord in Wellington that isn't black or white, so I created my own out of fabric. Hands-down my favourite make in recent times. 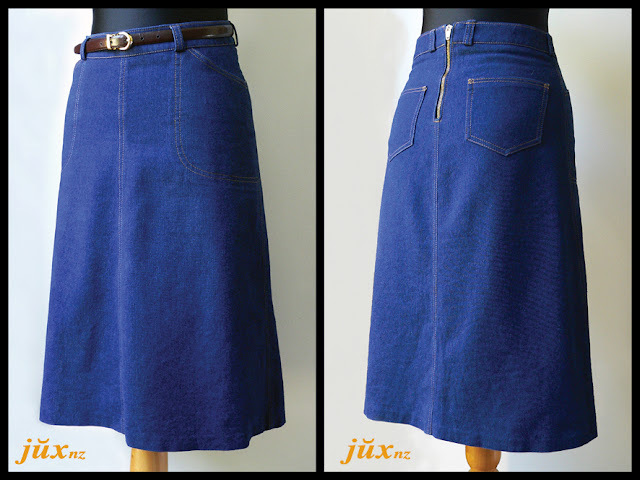 When I was 16, one of the first self-drafted patterns I ever made was for a denim skirt. I loved that skirt, wore it for years until it the zip broke (by which time it was looking very tired), then promptly made another. Since then there has pretty much always been a denim skirt in my wardrobe. 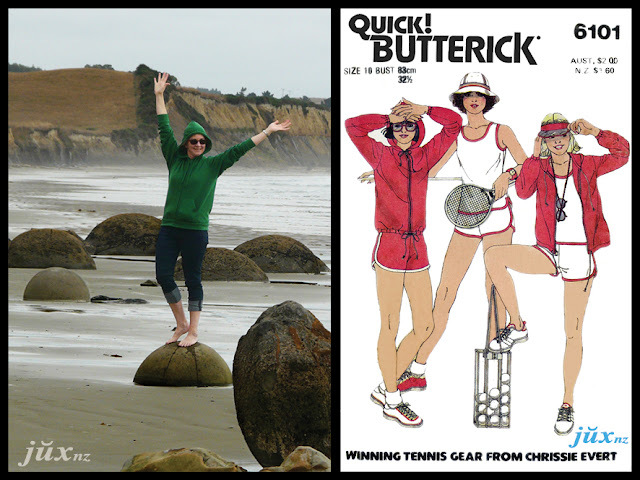 This version started with a circa 1976 pattern - Style 1559 - as a base. 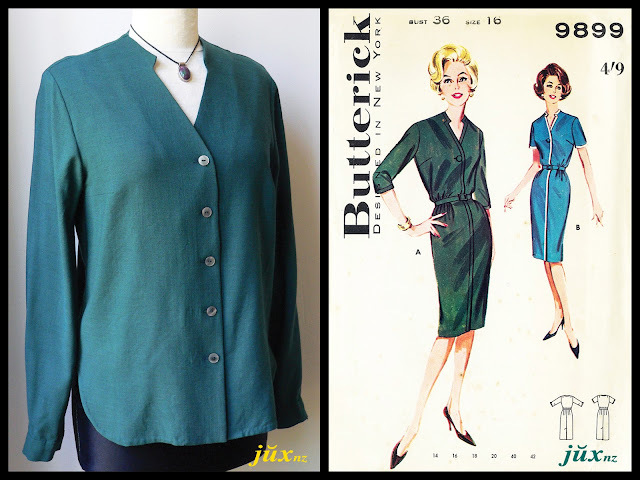 I liked the length, pocket detail and button front. But after months of fruitlessly searching for suitable buttons (ie, ones I liked), I ditched that idea in favour of a fly-front. However, great plans don't always run smoothly. First fitting was a disaster! 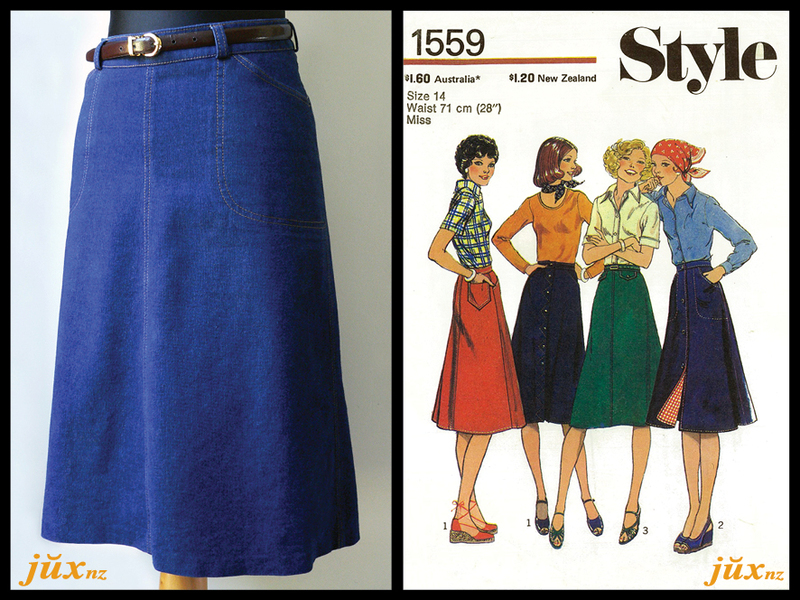 The skirt was so frumpy - too wide at the hem, the waist too high, and goodness knows why the fly-front pucked so much. Into the naughty corner it went for some timeout. A few days later, I'd formulated a rescue plan. 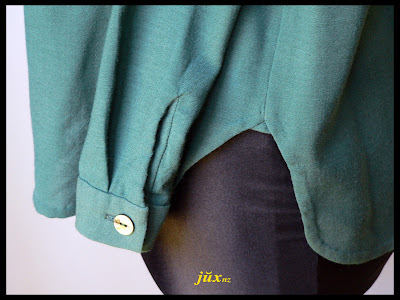 Gone is the fly front, moving to an exposed zip in the centre back; the high waistband was re-cut into a 4cm wide curved yoke at high-hip level; and finally the seams are slimmed at hem length by about 5cm each side. But the god(desse)s were against me, because 20 minutes into sewing it all back together, the LED bulb in my lamp blew. At 7pm. On New Years Eve. And it would be 2 days before the stupid lighting store re-opened. sigh. Not able to bear the thought of wasting precious time, I ploughed on during daylight hours. 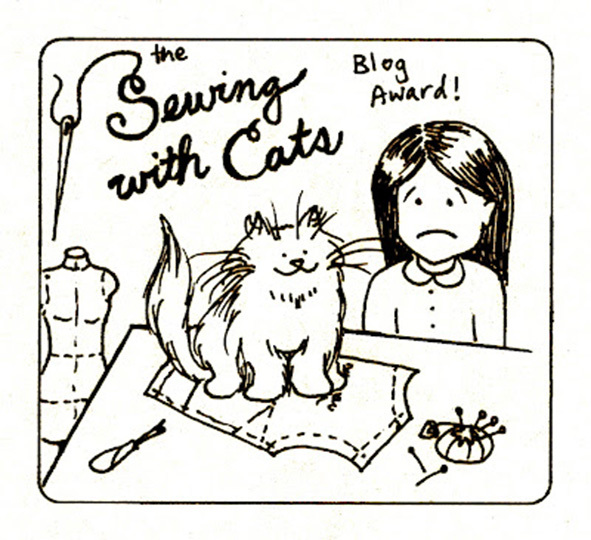 The topstitching isn't perfect, but hey! I still love the skirt and it's already being worn several times. Brass zip and topstitching thread from the stash.